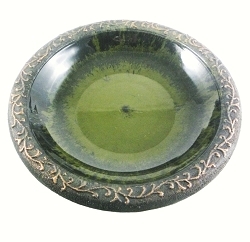 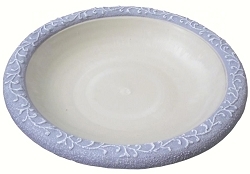 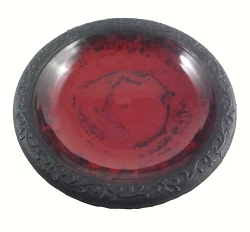 Pairs up perfectly with our Fiber Clay Birdbath Bowls! 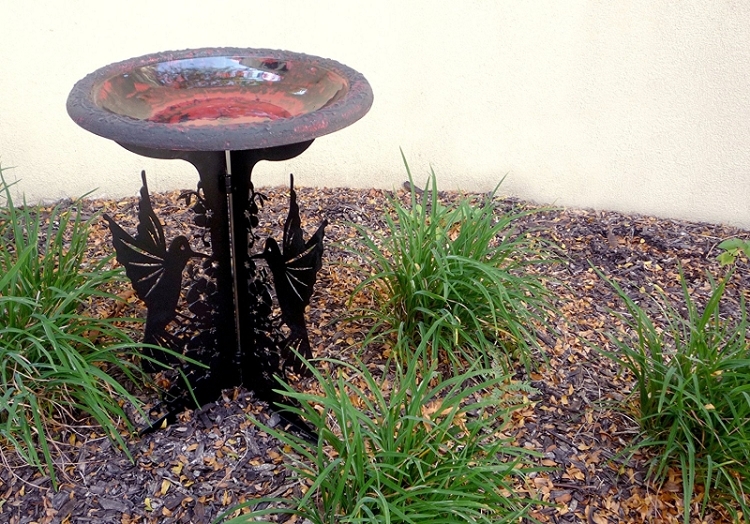 Beautiful hummingbird and flower design adds beauty and grace to your garden landscape! 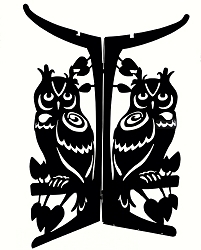 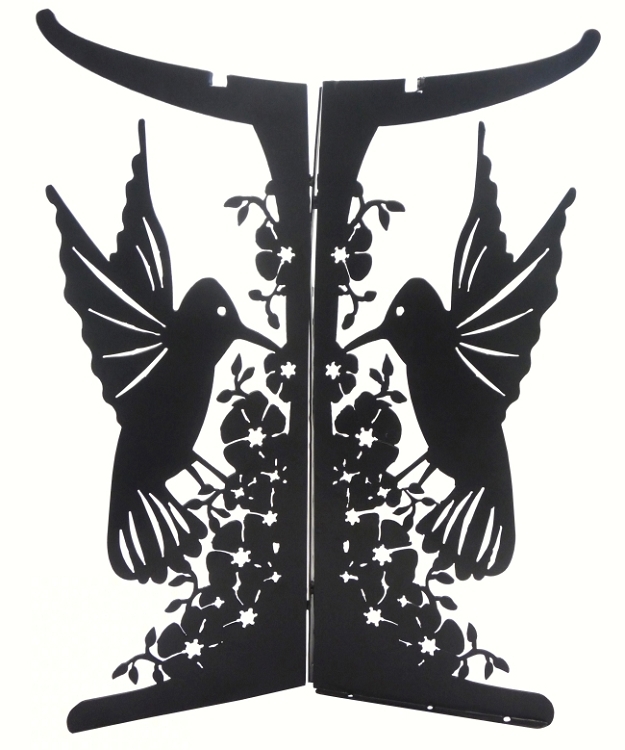 Tierra Garden Hummingbird Lasercut Metal Base - Exclusive Tierra Garden design! 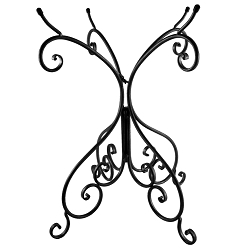 Bring charm and elegance to your backyard with this striking Hummingbird design laser cut steel base. 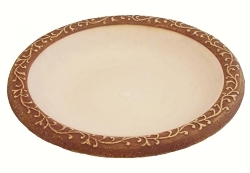 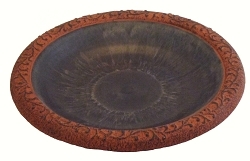 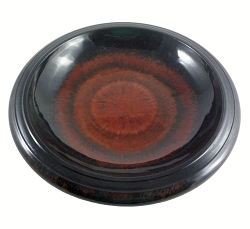 It pairs up perfectly with all Tierra Garden fiber clay birdbath bowls. 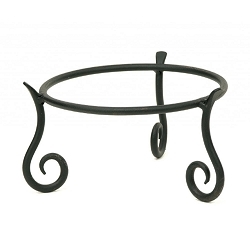 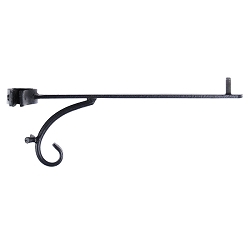 Sturdy, 2mm steel with black powder-coat finish. 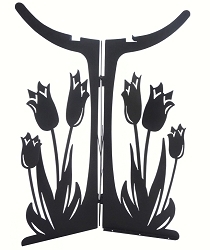 Clever design - three-panel base is one piece, no assembly required! 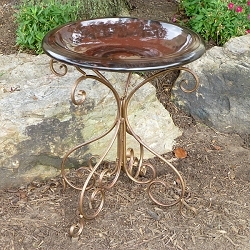 Simply spread panels apart, insert rim on underside of birdbath bowl into the notches of base. 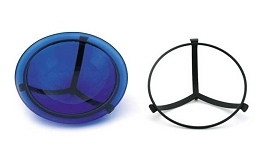 Bowl seats securely in the notches and comes with tightening screws to lock in place. 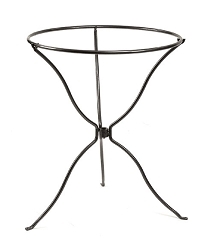 Ground pegs included for added stability. 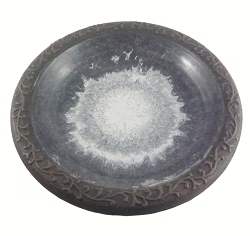 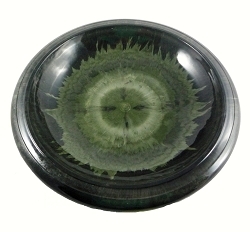 Dimensions: 15"L x 15"W x 24"H; Weight 10 lbs.